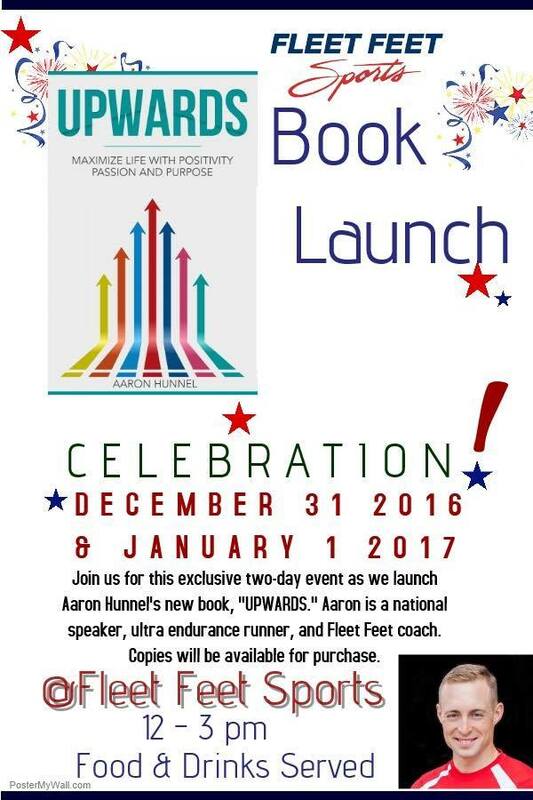 In his newly released book, UPWARDS, Winter Warriors Coach Aaron Hunnel offers a "powerful prescription for moving Upwards in life towards self-improvement and personal success." Start 2017 off with a glimpse into the energy and mindset that has Aaron moving with intention & direction. Food & beverages will be provided. Stop in and enjoy the energy that follows Aaron wherever he goes. Hear about how Fleet Feet Sports played a role in triggering a series of events and opportunities that have gotten him to where he is today.